TORONTO—Does an elixir of love exist? And if so, what are the ingredients? It’s a question that ill-starred lovers have been asking since time immemorial. And it is the potion that Nemorino, the main character in Gaetano Donizetti’s opera “The Elixir of Love,” gambles on to make the beautiful Adina fall for him. “The Elixir of Love” premiered in 1832 in Milan, Italy, and has since become one of the most beloved operas of all time, famous for its light-hearted story and beautiful music. It is a jewel of the bel canto repertoire, a style of opera designed to bring out the beauty of the human voice. “Una furtiva lagrima” (“A furtive tear”), the opera’s most well-known aria, has also been a favourite of several tenors, including Luciano Pavarotti, who have showcased its appealing melody and heartfelt lyrics on many concert stages. 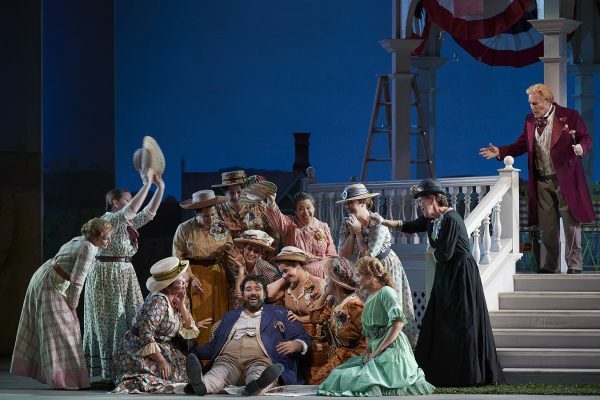 Canadian tenor Andrew Haji, who is singing the role of Nemorino in the Canadian Opera Company’s production of “The Elixir of Love” this fall, notes Donizetti’s music is not only beautiful but also relatable. “The music goes to your heart,” he says. 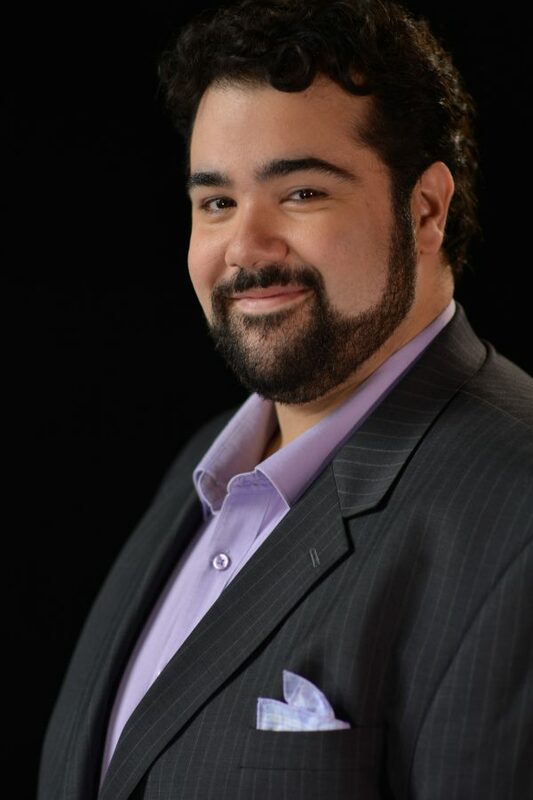 Haji graduated from the COC’s Ensemble Studio program in 2016 and has already started making a name for himself on the international stage, including at the Salzburg Festival and the Opera Theatre of St. Louis. 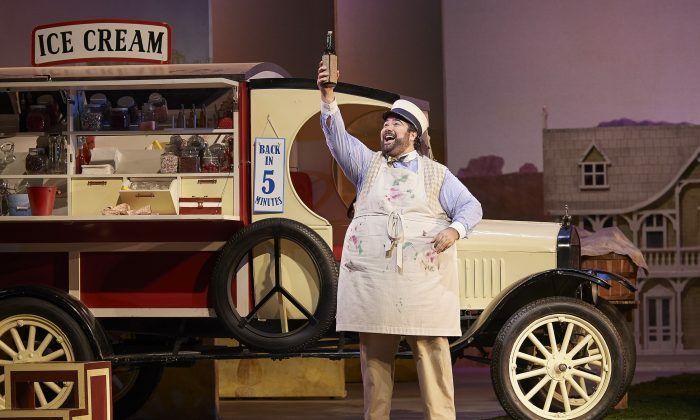 In Toronto, he joins the cast of “The Elixir of Love” alongside fellow graduates, soprano Simone Osborne (Adina) and bass-baritone Gordon Bintner (Belcore, Nemorino’s rival). Haji says he shares several characteristics in common with his character. Such passion, he notes, is particularly important in singing Nemorino’s “Una furtiva lagrima,” an aria that elicits strong emotion. While he studied recordings of famous singers, observing how they use their words and their body to tell the story, ultimately he has to make sure he stays true to himself, Haji says. One of the reasons for the aria’s emotional power is that Nemorino is pouring his heart out to himself; he’s not trying to convince anyone else, Haji explains. It’s an inner dialogue in which he is expressing the depth of his love for Adina. “He’s baring his soul; he is coming to the realization that this woman that he loves so much might actually love him back,” he says. 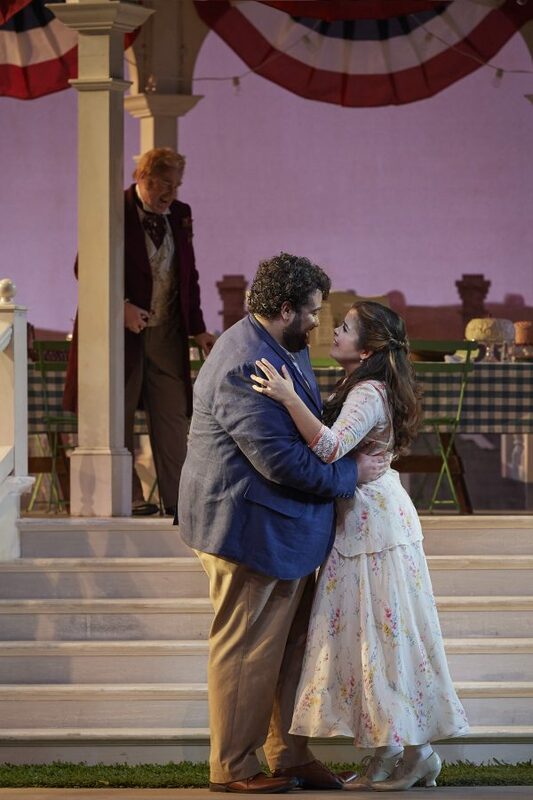 In “The Elixir of Love,” (a collaboration between Donizetti and librettist Felice Romani), the poor peasant Nemorino falls in love with the rich and beautiful Adina, but she rebuffs his romantic advances. Desperate for a remedy for his romantic misfortune, Nemorino appeals to Dulcamara, a travelling quack doctor, for a love potion. In the process, he goes through all his savings and even signs up to go to war in the hope that the money he earns from the army will buy him a more powerful potion to win Adina’s heart. Complications ensue but as the saying goes, all’s well that ends well in this romantic comic opera. Behind Nemorino’s naïve gamble is a strong passion and persistence that Haji admires. “He’s putting his entire life on the line just for a chance that Adina might return his love. That kind of persistence, that kind of passion, that kind of neverending struggle to get what he truly wants is a very important theme for Nemorino,” he says. In the end, Nemorino’s devotion touches Adina’s heart and gives her an important lesson. “A big theme for Adina is realizing that she can find happiness with a simple life with this man,” says Haji. After graduating from high school, Haji initially went on to study computer science, but ended his studies after two years, realizing he was on the wrong path. After a year of soul searching and advice from mentors, he rekindled his love for music, took voice lessons, and got accepted to study opera at the University of Toronto. It’s a choice he says he is fortunate to have made. “The most rewarding thing for me is having the power to affect people in profound ways,” he says. The ability to move an audience, however, requires relentless dedication and hard work. “Being an opera singer is like being a student for your entire life. You’re always learning, you’re always working on perfecting your trade, always bettering yourself,” he says.